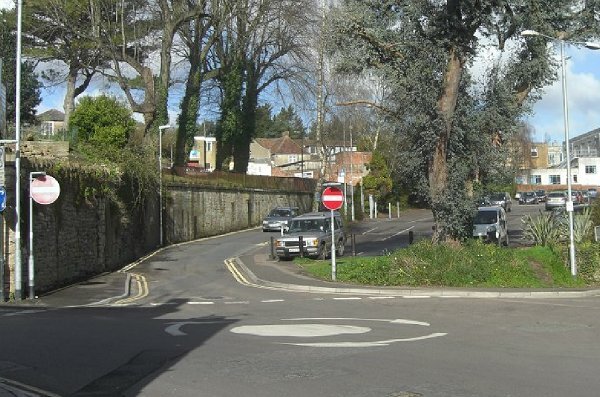 For centuries known as Sheep Lane, today's North Lane was part of the original northern boundary of the old medieval borough of Yeovil. Indeed, running along the northern edge of St John's churchyard, its origins are probably Saxon. It connects Princes Street with Silver Street. It also was close to the boundary between the Manor of Kingston to the north and the Manor of Hendford to the south. In a deed dated 1742 it would appear that North Lane was known by another name - Shitt Lane. 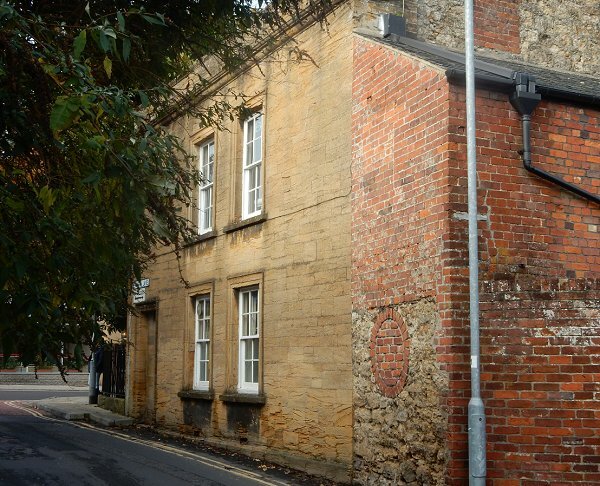 The deed was between William Brooke, a Yeovil carpenter, and William Daniell, wealthy glover of Yeovil (and father of Peter Daniell) and reads "Whereas by Indenture dated 18th September 1728 between Thomas Grensham of Yeovil, Mercer and William Brooke, William Daniell at his own expense erected new built or converted into a dwelling house part of a barn in the churchyard of Yeovil on the north side of the Parish Church and leased for 5s a year. Also on the east part of the said newly erected house right of access to the well with other tenants and paying one third part to the repairs of the well. 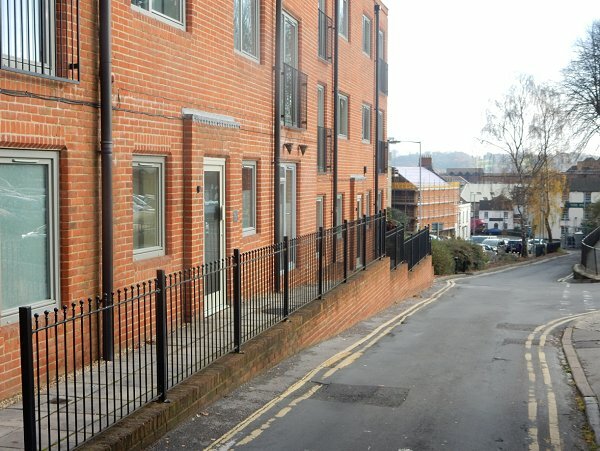 Also allowing 10ft of ground length and breadth on the north part of the dwelling house in possession of George Wills allowing full liberty for Thomas Grensham access to the plot of ground through a door abutting against Shitt Lane." To its north was the triangular area known as the 'Kennels' in medieval times and also known as the 'Sheep Fair' and 'Fair Field'. During the nineteenth century it became known as 'Fair Ground' but was later, and until quite recently, part of Yeovil market. 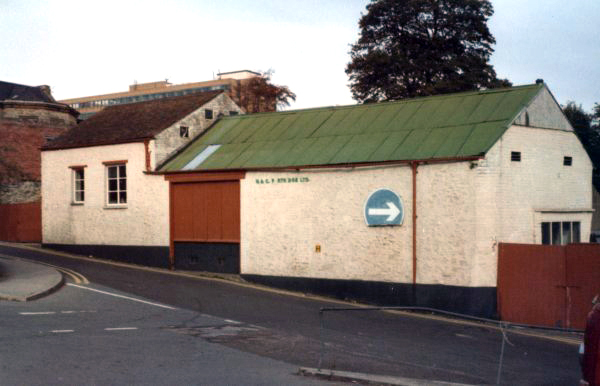 North Lane House was a large residence on the south side of North Lane; its location is now covered by the entrance to the North Lane car park. The house probably dated from the 1830's and in the 1851 census it was the home of 54-year old Charles Raymond who lived there with a domestic servant and an errand boy. Both Charles Raymond and his father Richard before him caused North Lane to be known to a generation of Yeovilians as Raymond's Lane. Charles was a shoeing smith employing four men and two boys. By 1861 Charles Raymond was no longer residing at North Lane House. 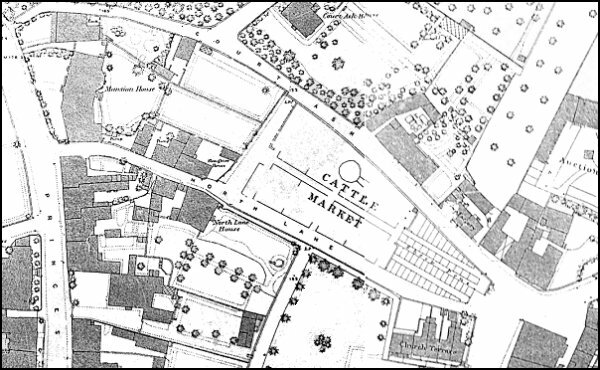 The 1886 Ordnance Survey showing North Lane connecting Princes Street at left with Silver Street at bottom right. The western end of North Lane seen from Princes Street during the mid-1960s. The side of Magnolia House at the western end of North Lane. Photographed in 2016. 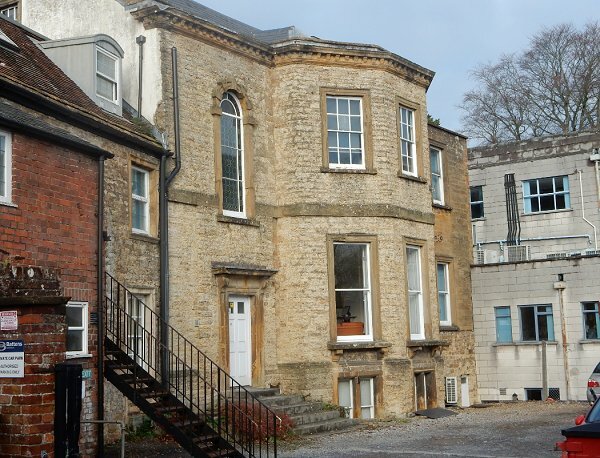 .... and just a couple of steps further along is the view of the rear of the Mansion House. Photographed in 2016. 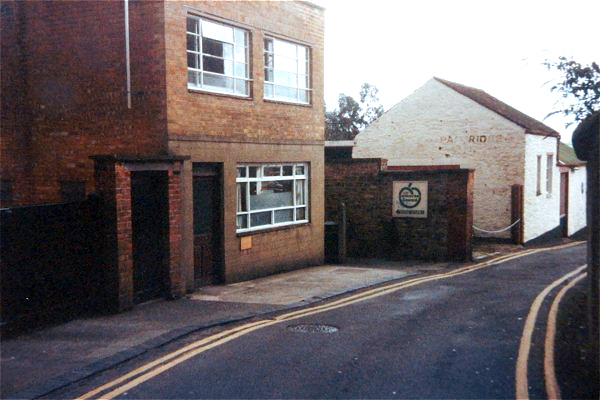 Photographed in 1983, this shot is taken from just a few steps along North Lane and shows the buildings seen at the centre of the previous photograph, including the sign for the studio of local radio station 'Somerset Sound'. 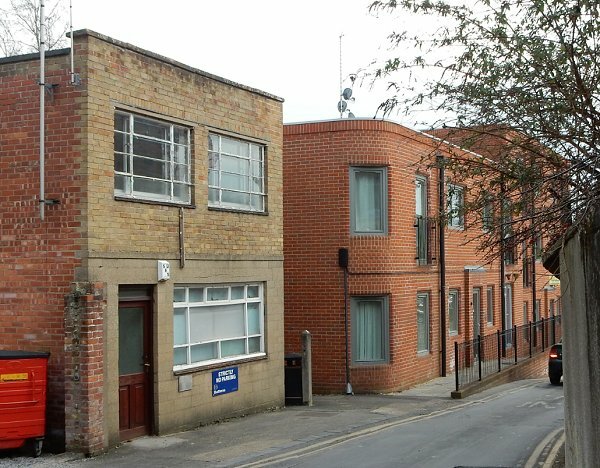 The building at left survives but the white buildings, the North Lane slaughterhouse, have been replaced by a block of flats as seen below. Courtesy of Colin Haine. This photograph features in my book "Now That's What I Call Yeovil"
.... and pretty much the same view in 2015. Just a little further on, these flats replace the earlier buildings of the previous photograph. Photographed in 2016. 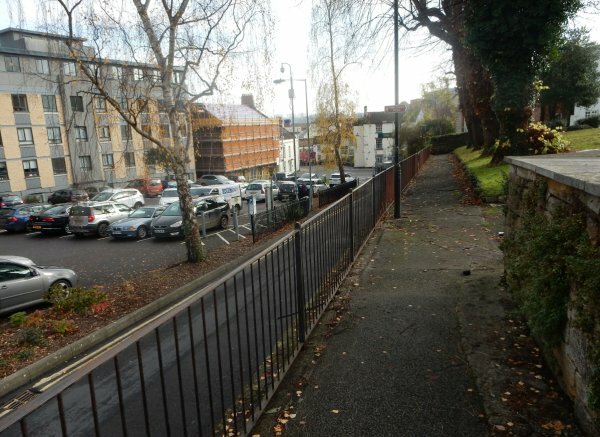 Looking west along North Lane with St John's churchyard walk at left and the Court Ash car park at right. Photographed in 2013. 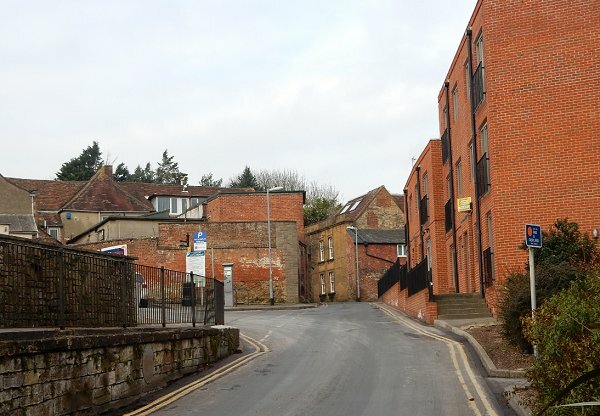 Almost the same view, with the entrance to North Lane car park at left, North Lane continuing to Princes Street at centre and the new flats at right. Photographed in 2015. 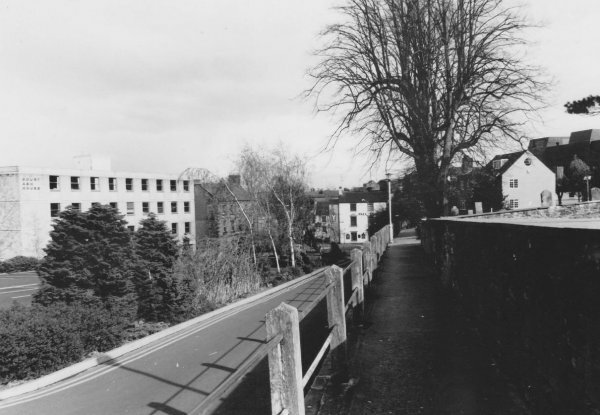 This photograph, taken from North Lane and looking towards Market Street, dates to January 1985 when it fell 'deep, and crisp, and even'. 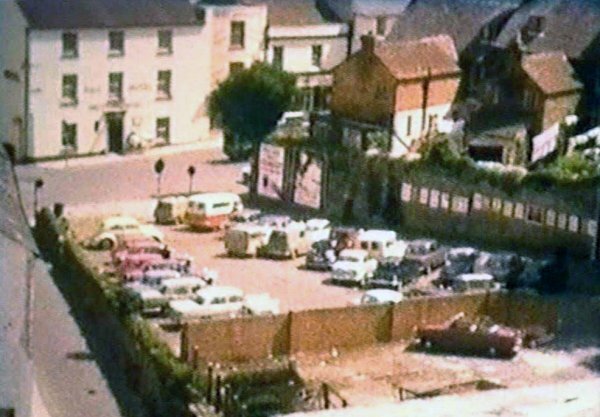 .... and the same area seen from an unusual angle, probably in the 1960s. 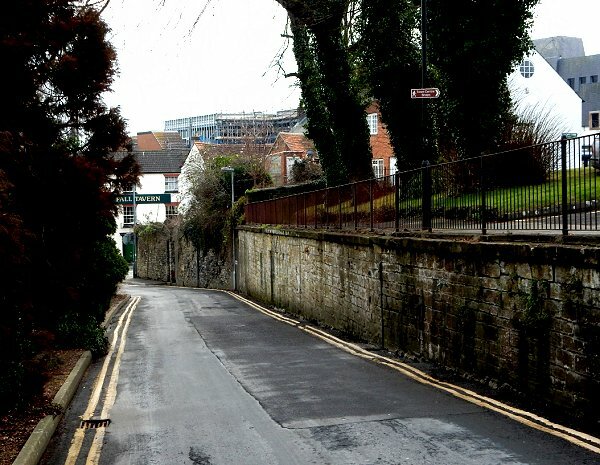 Notice all the posters on the wall in North Lane, at the rear of Church Terrace. 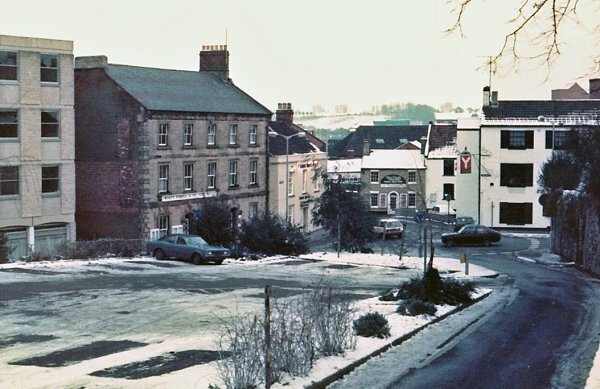 At top left is the Pall Tavern. 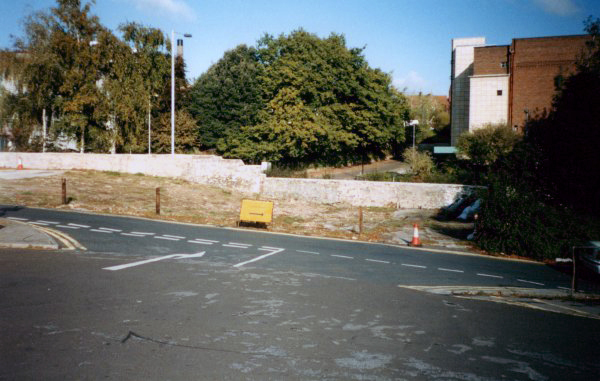 North Lane, photographed in 1990 from the churchyard walk. 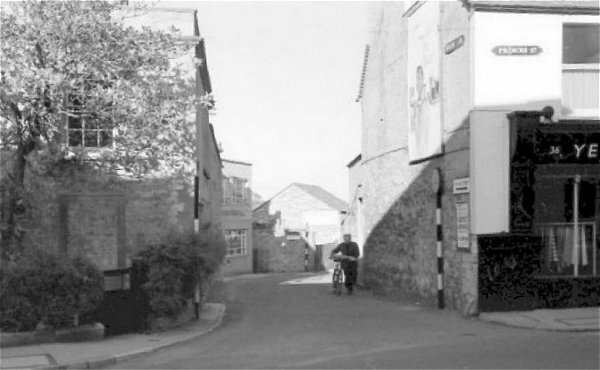 The lower end of North Lane looking towards the Pall Inn in Silver Street, with St John's churchyard at high level to the right. Photographed in 2015. 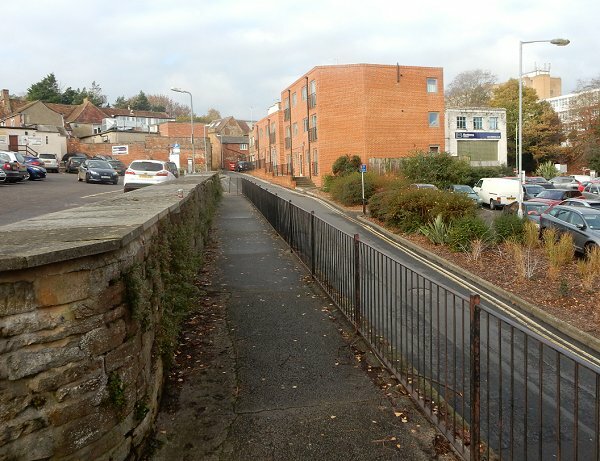 Looking east along North Lane from the parallel churchyard walk. Photographed in 2016. .... and looking west from churchyard walk. Photographed in 2016. 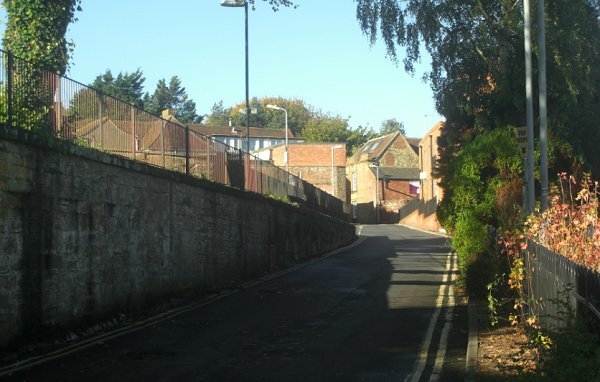 The eastern end of North Lane seen from the end of Silver Street. Photographed in 2013.